Annick Tinel-Blondelet has managed the Estate since 1983, after earning her diploma in Viticulture and Oenologie in Beaune. Passionate about nature, she aims to produce wines that match her personality : authentic, frank and full of vitality. Currently, the Estate stretches over 15 Hectares of wines divided into 3 appellations: Pouilly Fumé, Sancerre and Pouilly sur Loire. As she cultivates her three grape varieties (Sauvignon, Chasselas and Pinot Noir), from three different terroirs (Kimmeridgian marls, Villiers Limestones, Silex) Annick is driven by the desire to preserve the typicity of the wines. Their diversity contributes to the production of authentic wines, reflective of their origins. 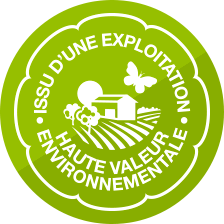 Great concern for the environment inspired a lutte raisonnée approach to viticulture; this method has been in place for numerous years in order to care for the vines, the biodiversity, and future generations. Finally, in order to manage and care for the vineyard, and to produce quality wines, the Estate possesses a modern, fully equipped cellar and Annick is surrounded by a serious and skilled staff.